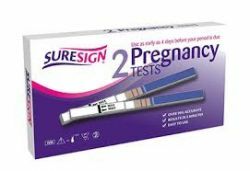 HOW TO USE THE PREGNANCY STRIP TEST? ​Collect a urine specimen in a clean and dry container. ​Open the sealed pouch and remove the test. ​With the arrows pointing towards the urine specimen, immerse the test strip vertically in the urine for at least 5 seconds. Do not pass the maximum line (MAX) on the test strip when immersing the strip. Lay the test strip down on a flat, non-absorbent, clean surface, start the timer and wait for the red line(s) to appear. ​Read the result after 3 minutes but do not read the result after 15 minutes. HOW TO READ THE PREGNANCY TEST RESULT? Two distinct coloured lines are visible, one in the Test Region (T) and another in the Control Region (C). One line may be lighter than the other; they do not have to match. This means you are probably pregnant. One coloured line appears in the Control Region (C). No line appears in the Test Region (T). This means that you are probably not pregnant. The result is invalid if no coloured line appears in the Control Region (C), even if a line appears in the Test Region (T). Insufficient volume of urine or incorrect procedure are the most likely reasons for an invalid result. 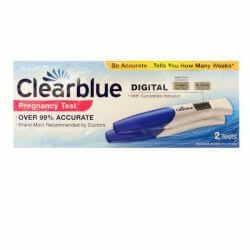 You should repeat the test with a new Pregnancy Test.